Scott Ledet joined the firm soon after its formation and practices in the areas of corporate transactions, business law, general litigation, workers compensation, and appeals. Scott advises corporate clients on a variety of business decisions and transactional matters including contract formation, negotiation, and regulatory compliance. He also assists with the firm’s litigation and workers compensation practices, including handling appellate matters before the state’s courts of appeal. Scott is a Baton Rouge native, who returned home after practicing in the areas of commercial and securities litigation in New York City. 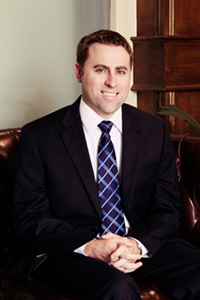 His experience in New York representing some of the largest corporations in the world in litigation matters focused on complex business issues allows Scott to bring a unique perspective to his current practice. Scott also served as a staff attorney for the Louisiana First Circuit Court of Appeal where he handled a variety of civil appeal matters and gained important appellate experience. Louisiana State University, Paul M. Hebert Law School, J.D./B.C.L. - 2007. Louisiana State University, E.J. Ourso College of Business, B.S. in International Trade and Finance - 2004. Louisiana First Circuit Court of Appeal, Staff Attorney - 2010-2011. Shearman & Sterling LLP, Associate Attorney - 2008-2010. Judge Frank J. Polozola, U.S. District Court, Middle District of Louisiana, Law Clerk - 2007-2008. Louisiana - all state and federal courts.